"Almost everyone knows the truth: to lose the weight, we need to eat less and move more," says weight-management pioneer Jean Harvey-Berino. "This book is about the missing link: how to do it." Harvey-Berino believes that permanent weight loss only happens by changing everyday behaviors: replacing old, unhealthy habits with new ones. And clinical research proves her right: participants in her behaviorally based VTrim™ Weight Management Program lost an average of 21 pounds in 6 months—more than double that of an online commercial weight-loss program. In a unique collaboration, The EatingWell Diet brings you the tools that helped "VTrimmers" succeed—including goal-setting, self-tracking, and controlling eating "triggers"—along with wisdom and recipes from the creative cooks and nutrition experts at the nation's premier magazine of food and health. More than just a sensible way to lose weight, it's a workbook for a healthy way of life. Jean Harvey-Berino, Ph.D., R.D., developed the VTrim Weight-Management Program upon which The EatingWell Diet is based. Professor and Chair of the department of nutrition and food science at the University of Vermont, she is an internationally recognized expert of weight loss, obesity and nutrition. A distance runner who has completed seven marathons, Dr. Harvey-Berino lives in Hinesburg, VT. 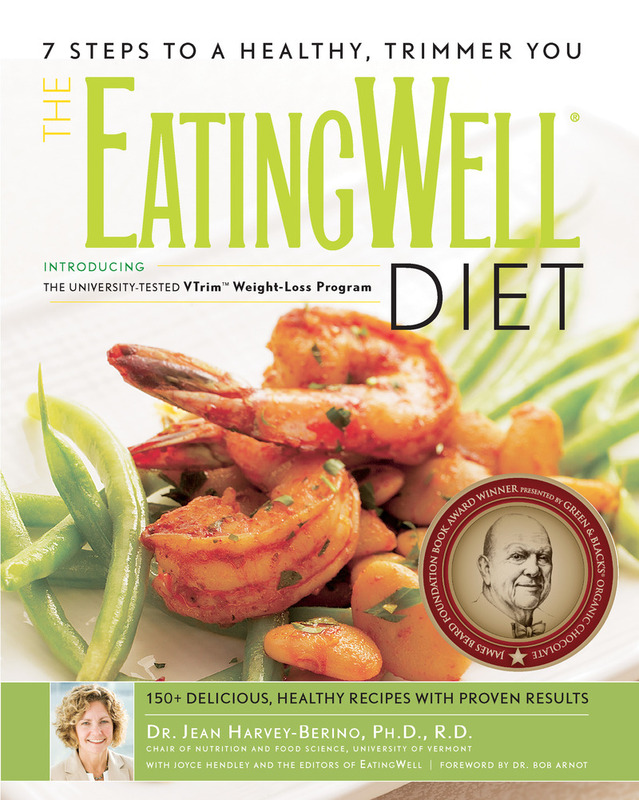 The EatingWell Media Group is a fast-growing communications company producing an award-winning national consumer magazine, high-quality food- and nutrition-related books, a content-rich website, e-mail newsletters, and serving content to strategic partners with other electronic media.